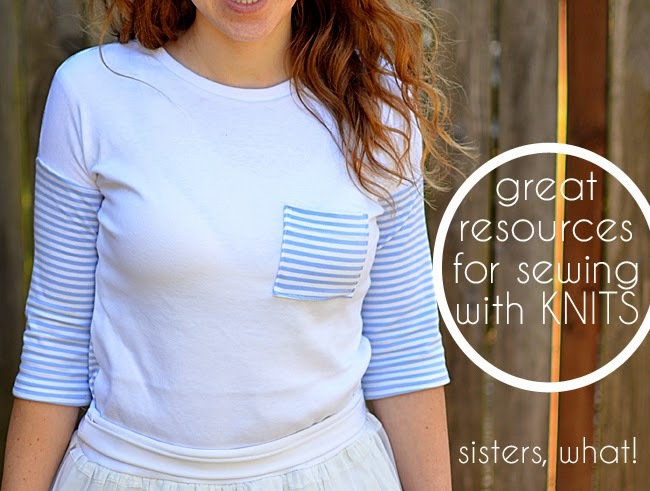 ' Slouchy Top [and resources for sewing with knits] - Sisters, What! During the whole pinterest challenge, I was suddenly motivated to do things that I've had on my crafty-to-do-list forever. This shirt is one of those. I've made shirts before, but years ago when I took a sewing class in college, the teachers made me scared of sewing with knit. This was BYU and everything is harder there (including a sewing class - ridiculously hard), so I took their word for it. Thus it has taken me little by little to start feeling comfortable with knits. Basically, this shirt is a long time coming. It only took me 2 hours, but it took me forever to finally just make my own shirt from scratch. 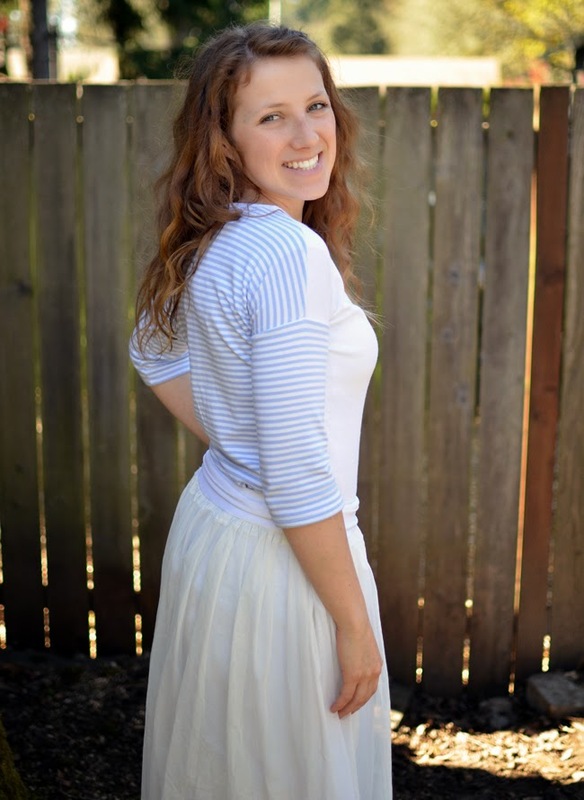 I made my own pattern following Sara's (Stripes and Polka dot blog) tutorial for her DIY Slouchy Tee. I love it because the measurements are all mine. The main thing that I did different was made it a fitted tee and I used two different knit pattern (I got the idea from here). And of course, I had to add a pocket : ). This turned out so adorable! I love the use of the different knit patterns! 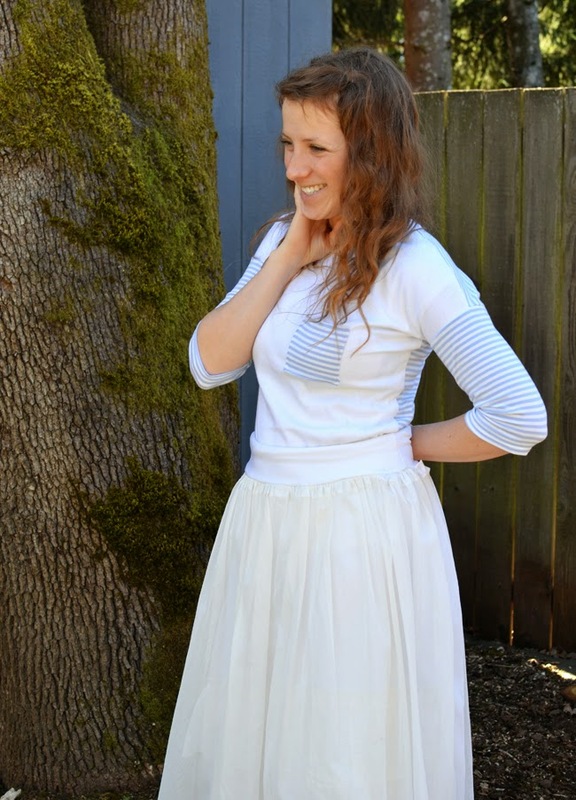 I also love sewing with knits too, because like you said, they are so forgiving especially if you're a beginner sewer. Great job!